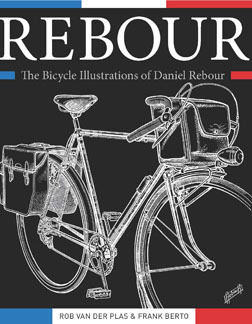 Traditionally, books and note cards about bikes and biking have been our mainstay. Subjects range from repair manuals to touring guides, and from books on cycling history to narratives and photo books about racing. The cycling items on this web site are arranged in categories ("Cycling Books" and "Cycling History") shown on the navigation bar on the left-hand side of this page. All our books get updated, and where necessary corrected, whenever they go back to press for reprinting. This allows us to offer you books that are as up-to-date as possible.